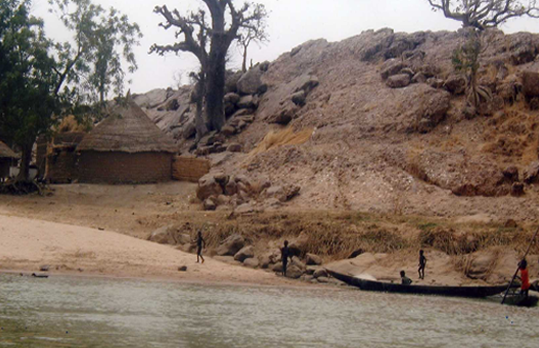 In September 2006, four weeks of torrential rains led to floods in Niger. United Nations humanitarian agencies rushed to provide emergency assistance, including food, clothes and bedding, to more than 15,000 people that were left homeless or otherwise injured by the floods. Relief agencies were concerned about the potential outbreak of diseases like cholera and malaria in the wake of the floods, as well as cattle losses and damage to local infrastructure. While the year 2006 hit Niger with floods, Niger faced an entirely different environmental disaster in 2004: drought & locusts that devastated agricultural production and intensified Niger’s food crisis. 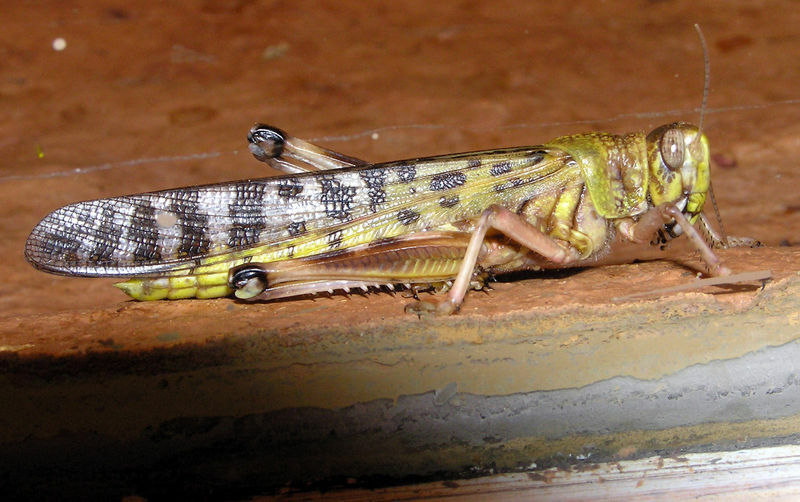 Locust infestations and drought not only affected the health of Nigeriens by impacting their crops and livestock, but they also affected the security and stability in the region. With scarce food resources and families on the verge of malnourishment and starvation, tensions rose as farmers and herdsmen struggled to survive. Newspaper headlines like ‘NIGER: 11 killed in clashes between farmers and Fulani herdsmen’ demonstrate how scarce resources can intensify ethnic conflicts. Niger is the poorest country in the world. Niger is a dry, landlocked country along the Sahara desert where most of its 11.9 million people live off the land. Countries like Niger that are poor, situated in dry, desert areas, that are largely dependent on farming and livestock, and are most vulnerable to food shortages. Even when the rainy season is good, more than half of the population does not have enough food due to the country's poor natural resource base and extremely low cereal yields. The competition for Niger’s meager natural resources is the major cause for its’ ethnic conflicts. The largest ethnic groups in Niger are the Hausa and the Djerma-Songhai. 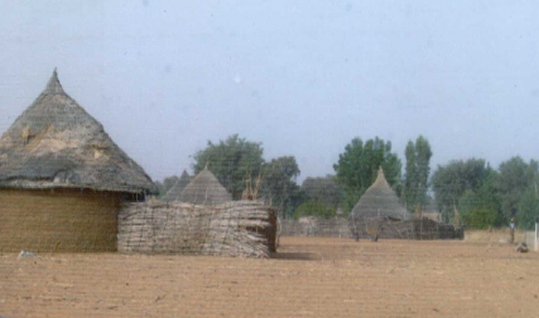 Both the Hausa and the Djerma-Songhai are sedentary farmers who live in the arable, southern tier. The remainder of the Nigerien people are nomadic or semi-nomadic, and include the Fulani, Tuareg, Kanouri, and Toubou. With rapidly growing populations and the consequent competition for meager natural resources, sedentary farmers and nomadic peoples have increasingly come into conflict in recent years. As mentioned earlier, even in “optimal” conditions where there is plenty of rainfall, more than half of the population does not have enough food. One can only imagine how dire the situation is with the combined onslaught of drought and desert locusts. 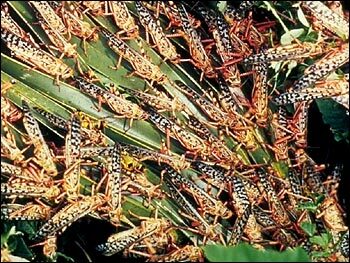 In 2004, the U.N. Food and Agriculture Organization warned that locust swarms threatened to wreak havoc in West Africa after exceptional rains were followed by periods of drought; it is precisely such conditions that allow locusts to flourish. The UN was correct in their estimations, and – amongst other West African countries - Niger suffered immense crop shortage due to droughts and locusts that left fields barren. Manomi Maïgomo has lived here in Kabima, Niger for a long time. It is difficult for him to remember how long he has lived there, as he counts his years in terms of rainy seasons: his memory wavers and he forgets.What he does remember is the unlucky day that plunged him and his family into desperation: it was in the middle of an August afternoon when "The sky turned black and we couldn't see the sun. The locusts came at two o'clock. They ate and when they had finished at 10 the next morning, they left.” He left his family and his home in the hope of earning a few cents elsewhere. The damage of the drought and locusts was so bad that in March of 2005, the World Bank announced that the ambassadors of seven African countries signed a series of agreements with the Bank’s International Development Association (IDA) for the Africa Emergency Locust Project. Beneficiary countries included Niger and put the anti-locust program into effect to limit the damage to future harvests. Interestingly enough, up until 1921, it was thought that the Desert Locust was actually two different species of locusts. Since then, a phase theory has been developed to account for the sporadic appearance and disappearance of locust swarms. According to the theory, a plague species has two phases: one solitary and the other gregarious. When there has been sufficient rain for a lot of locust eggs to hatch, forced physical contact causes the insects' hind legs to rub up against each another. This triggers both metabolic and behavioral changes that signal the insects' transformation from solitary behaviour to gregarious behavior.The two phases can be distinguished by differences in coloration, form, physiology, and behavior of the species. As Desert Locusts increase in number and become more crowded, they change their behavior from that of acting as an individual (solitary) insect to that as acting as part of a group (gregarious). While the solitary insect does no harm, the gregarious insects can cause absolute havoc and devastation. 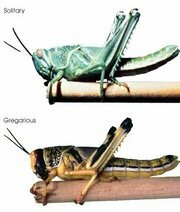 As mentioned earlier, the appearance of the locust also changes: A solitary locusts adjusts its coloration to match that of its surroundings while gregarious locusts are black and yellow (orange) in coloration. Violent conflict between herders and farmers in Africa have been the subject of various academic papers ever since the establishment of colonial rule in Africa, and have been characterised by scholars as either symbiotic, competitive or inherently conflictual. no matter how scholars may describe these tensions, competition and conflict over natural resources is omnipresent in Africa. Violent conflict between farmers and herders in Africa supposedly intensified since the droughts of the 1970s and 1980s, In Niger, historic conflicts occurred over access to fertile lands during the dry season. 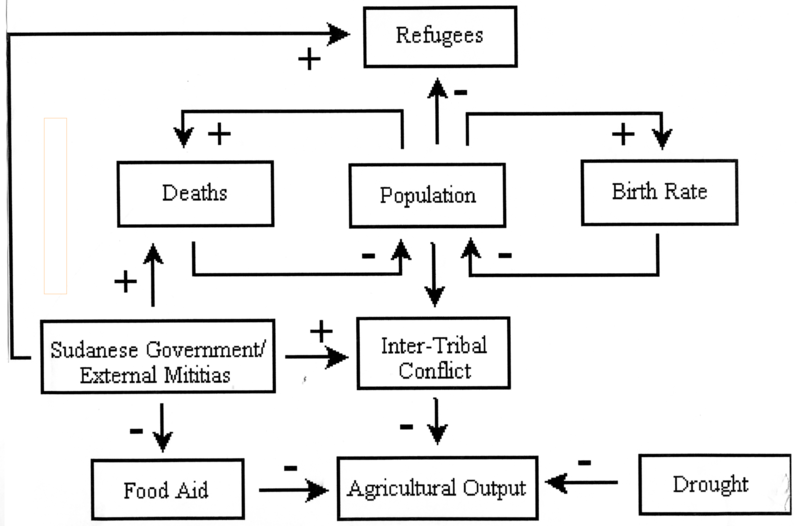 While the access to and control over key natural resources may have been the ultimate cause of conflicts between herders and farmers, the realignment of power brought about by colonial rule also affected and intensified the conflicts between the groups. As mentioned earlier, the rapidly growing populations and the consequent competition for meager natural resources, along with recurring droughts and locust infestations, has led the farmers and herders in Niger into conflict historically, with conflicts continuing today. The sedentary farmers in Niger - the Hausa and the Djerma-Songhai - from the arable, southern tier and the herders - including the Fulani, Tuareg, Kanouri, and Toubou tribes - are the main actors in this conflict. The rapidly growing populations, the competition for meager natural resources, the recurring droughts and locust infestations, and the increased availability of firearms are all factors that lead to conflict between the two distinct groups. As unfortunate as they may be, insect infestations and natural disasters are recurrent throughout history. The following are a few examples of plagues, with brief details on each. Damage: Japanese crops were devastated and 12,000 people starved. Damage: Record-breaking swarm was 1800 miles long. Damage: Niger suffered a crop shortage due to an invasion of locusts that left fields barren. A drought quickly followed, which led to a food crisis in the country. Damage: The agricultural devastation lengthened and intensified the Great Depression whose effects were felt worldwide. Damage: It is estimated to have killed between 850,000 and 4,000,000 people. Damage: Food Shortages, famine and devastation. Damage: 229,866 persons lost, 186,983 dead and 42,883 missing. Damage: Immense devastation along much of the north-central Gulf Coast of the United States. Agricultural systems, as opposed to natural ecological systems, are man-made and thus are particularly vulnerable to climatic change. The agricultural sector in Niger contributes about 34.8% of the GDP and employs about 85% of the work force , thus it can be inferred that agricultural systems in Niger are particularly susceptible to natural disasters. 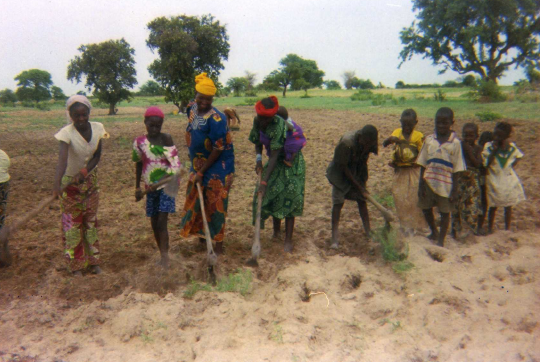 The agricultural systems in Niger are very fragile because of their increasing and accumulated pressures. Pressure on water resources is particularly important in Niger because the country supports agricultural production, a large population, and its’ water use is relatively higher than its’ water availability. Take, for example, the Niger River (pictured above). Niger, along with Burkina Faso and Mali, is heavily dependent on the water provided by the Niger River. Not only is water vital to agriculture and irrigation in the region, but it also provides drinking water for people and livestock. Faced with drought, Niger’s population obviously extracts large amounts of water from the river, which in turn affects the ecosystem. During times of drought, water is not the only dwindling resource. Jyrki Kakonen in his book ‘Perspectives on Environmental Conflict and International Politics’ notes that during drought spells, “the cutting of trees for charcoal and firewood is often intensified.”  If you are interested in reading more about the effects of charcoal production in Africa, please see the Charcoal Case. Tree cutting, whether for energy needs or construction needs, is another cause of erosion problems that affects the ecosystem. Trees (along with grasses, hedgerows, and shrubs) do more than provide food, energy, and animal fodder. They also help “preserve soil fertility, prevent erosion, conserve water resources, check or counteract climate changes, and provide a habitat for wildlife.” By cutting down large amounts of trees, Niger’s population is depleting the environment and putting excessive pressure on the land on which its livelihood rests. While this has no direct effect on locusts, it does indeed deplete the already scarce resources in Niger, which can be made even more scarce by locusts. Alongside water availability and tree cutting, another important environmental problem related to drought and locust infestations is desertification. 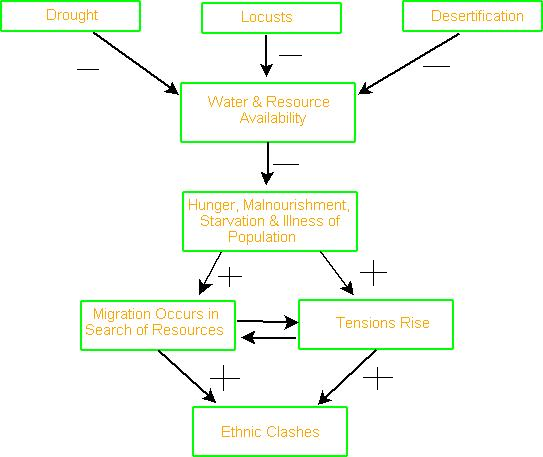 For a detailed explanation on desertification caused by humans, please refer to Andrew Furber’s case study on Niger Desertification causes desert-like conditions to spread to areas where such conditions would not normally exist, and causes a decline in the potential for food cultivation and livestock husbandry. It is caused by humans ("desertification" comes from Latin phrase desertus facere: to make into desert) through rapid population growth and increasing numbers of livestock that strain a region's carrying capacity. Drought and desertification are closely linked: years of water shortages and great rainfall variability make desertification more acute. On a brighter note, in the Maradi district in southern Niger, farmers have fought back and have actually started reversing desertification. While there are still droughts, the land is less eroded and more productive than in the past because of such activities like switching from herding cattle to settled farming, which is far less detrimental to the land. Such activities demonstrate the importance of relying and building on local people’s knowledge and practices, as external interventions sometimes undermine local systems of decision-making and resource management. Besides switching from herding cattle to settled farming, another innovative project in Niger consists of termites.The International Fund for Agricultural Development describes the termite technique as "digging holes some 15-20 cm deep and using the unearthed soil to build protective ridges around the hole.The hole bottoms are then covered with manure,which becomes a breeding ground for termites.The termites bore through the hard-baked soil,producing a delicate network of tunnels.When the rains come,the holes and tunnels fill with water,and farmers plant millet or sorghum in them without having to toil." Below is a visual that may help you with understanding the situation in Niger. Niger is a landlocked dessert area, and it is one of the hottest places in the world. Only one-fifth of Niger is savanna, and thus only one-fifth of Niger is suitable for livestock and (limited) agriculture. Seeing as there is such limited arable land, the demand or and ensuing pressure upon the land and its resources are alarmingly high in ‘normal’ conditions. These pressures are naturally intensified at times of drought and locust infestations. This latter paragraph demonstrates the weather patters and fluctuations in Africa. Unfortunately for African countries and their populations, 2004 and 2005 were years of intense drought throughout the region, not to mention an infestation of locusts. 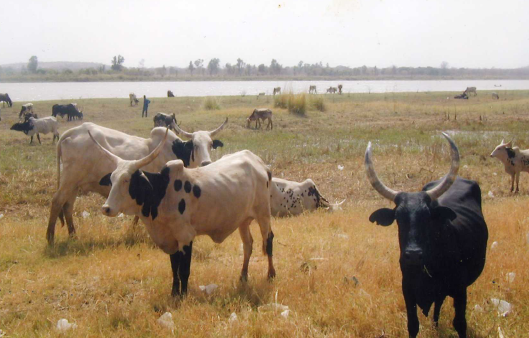 Locust infestations and drought not only affect the health of Nigeriens by affecting their crops and livestock, but they also affect the security and stability in the region. With scarce food resources and families on the verge of malnourishment and starvation, tensions rise as farmers and herdsmen struggle to survive. Headlines like ‘NIGER: 11 killed in clashes between farmers and Fulani herdsmen’ demonstrate how scarce resources can intensify ethnic conflicts. 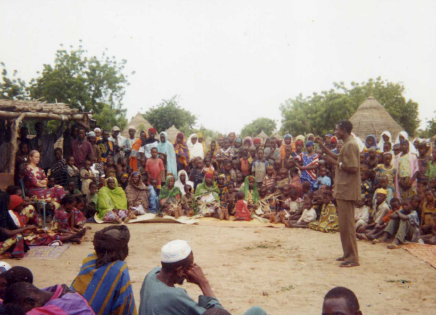 One of the bloodiest clashes occurred in 1991, when more than 100 people were killed in a dispute over grazing rights at Toda, in south central Niger. In response to these clashes, government officials urge local cattle herders and farmers to live together in peace and harmony.yet scarce resources have the ability to set off disputes and deepen conflict over and over again. . 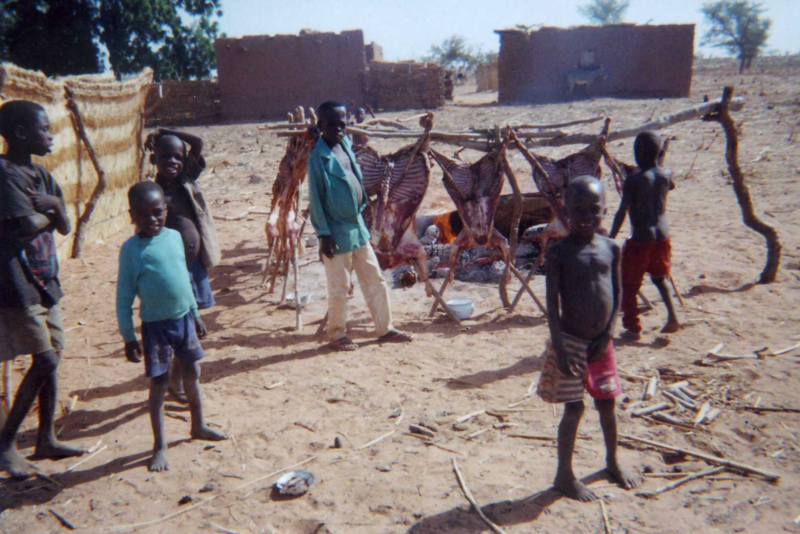 The Food and Agriculture Organization described Niger’s situation in 2004 as the second-worst food crisis in its history, with thousands dead and up to a quarter of the population of 12 million people in need of food aid. Jan Egeland, the U.N. Humanitarian chief, supported those figures and estimated that 2.5 million people in Niger were in desperate need of food, 800,000 of them children. It is obvious that the drought and the locusts both had severe effects on the Nigerien population, this the repercussions and fatality level due to environmental disasters is high. On the other hand, fatality level due to ethnic conflict itself is relatively low. Therefore, two different fatality levels are listed: one due to environmental disasters, the other due to ethnic clashes. Furthermore, the conflict may intensify and thr fatality level may rise due to the current, dire situation in Chad and Darfur. As the security and humanitarian conditions in Chad and Darfur become worse, it is clear that there may be spill-over affect in neighboring countries. The first signs of unrest already occured in Niger, where farmers demanded that the government reinstate its plan to expel 150,000 Arab herders who migrated from Chad during the past generation. Darfur is a perfect example of where ethnic rivalry, government manipulation, and competition over resources can lead, and hopefully Niger - or other countries for that matter - will not follow in that direction. As has been stressed throughout this report, Niger is one of the poorest countries in the world with minimal government services and insufficient funds to develop its resource base. The largely agrarian and subsistence-based economy is not only affected by desertification, but it is also frequently disrupted by extended droughts and sometime plagued by locusts. Desertification, droughts and locusts all have an indirect affect on diminishing the already-scarce resources in Niger, which then leads to conflict between different ethnic groups within the Nigerien population. While the drought and locust infestation affected the West African region, this case study focuses solely on the devastation in Niger. Drought and locysts, along with desertification and chronic poverty, is what led to the devastating food crisis in Niger, where Nigeriens suffered from severe food insecurity and were in desperate need of aid. • Better early warning analysis and action. Organizations like the ‘Humanitarian Early Warning Service’ issue ‘Situation Updates’ on locusts (http://www.hewsweb.org/locust/), as does the FAO Locust Group. Through these sites, it is possible to determine the threat od locusts and to start controlling them. • Enough advance funding to allow governments, the UN and non-governmental organizations to take adequate preparatory measures and deploy personnel with greater speed. • Greater emphasis on prevention: “Prevention is always less expensive than cure.” Some steps have already been taken. For example, researchers say that Niger has recently begun to go against desertification by planting trees and preserving natural vegetation; teams of workers have already rehabilitated three million hectares of severely degraded land. • Build-up of the region's existing strengths and structures to promote cooperation between African countries, along with bilateral and multilateral donors. • Remove the wings and hindlegs of the locusts, and boil the bodies in water until soft. Add salt. • Slit the abdomen of the adult locust lengthwise and stuff a peanut inside. Lightly grill the locusts in a pan, adding oil and salt to taste. • Place locusts on a skewer and grill while turning (to avoid burning the locusts) until they become golden brown. •No.88 - Congo-coltan: The conflict in the Democratic Republic of Congo revolves around the struggle for power over the country's resource of coltan. Coltan is a key element in cell phones, computer chips, nuclear reactors, and PlayStations. • No. 46 - Kikuyu: In 1993, violence erupted in the Narok district of Kenya's Rift Valley province when Maasai morans (warriors) attacked and massacred immigrant Kikuyu settlers. Environmental factors played a central role as a water catchment area had been found in the district, whereby the inhabitants (which were mostly Kikuyus) were forced to leave their habitat. With special thanks to Jennryn Wetzler for letting me use her pictures on this site.